The Bruce Peninsula Bird Observatory is a non-profit, member-based charitable organization with a mission to promote and foster the study, appreciation and conservation of birds and their habitats in the Bruce Peninsula region of Ontario, Canada. To organize and participate in monitoring and research projects related to wild birds, their habitats and other aspects of natural history in the Bruce Peninsula area of Ontario. To further our knowledge and understanding of bird populations, habitat use and migration patterns, by collecting and disseminating information on the topic. To educate and inform the public about birds and their habitats . 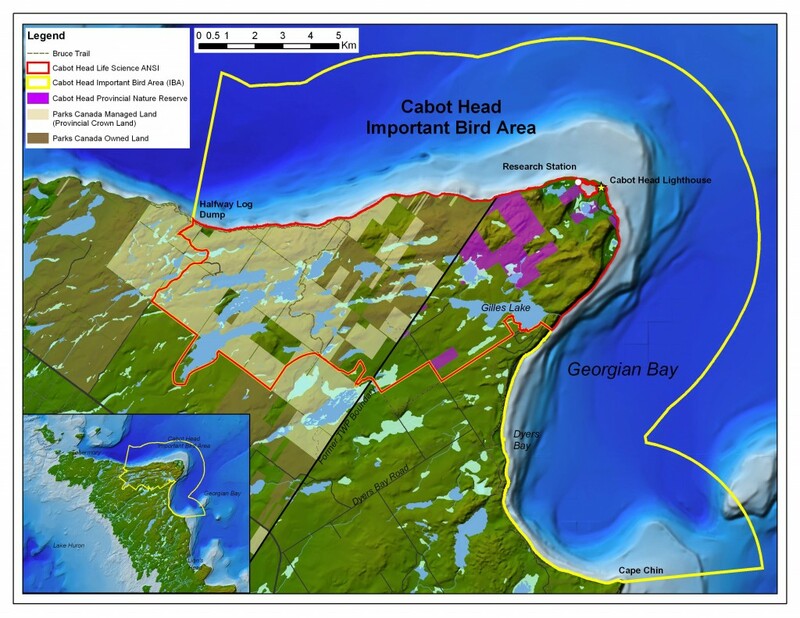 The Cabot Head area was declared an international “Important Bird Area” (IBA) in 2002. The designation was a recognition of the globally significant portion of the Red-necked Grebe population that use the area spring and fall as a staging/resting area during their migration. Only a few locations on the Great Lakes serve this function, as the grebes move back and forth between their Atlantic coast wintering grounds and their breeding ground in the north central and north western parts of the continent.